The International Paralympic Committee (IPC) launched the IPC Academy Campus 2016 on Wednesday (22 April) with the aim of transferring knowledge, expertise and know-how to around 1,200 key stakeholders during the Rio 2016 Paralympic Games. At the same time the IPC also announced that its Paralympic Games Knowledge Management function will now fall within the operation of the IPC Academy, the IPC’s education division which is run in conjunction with the World Academy of Sport. Headed by Apostolos Rigas, the Knowledge Management division of the IPC began in 2005 and has developed from drafting Paralympic specific requirements within Games manuals to establishing the IPC Observer Programme, through to learning programmes in partnership with the IPC Academy. The consolidation of these activities will see Rigas move to the role of IPC Academy Deputy Director. 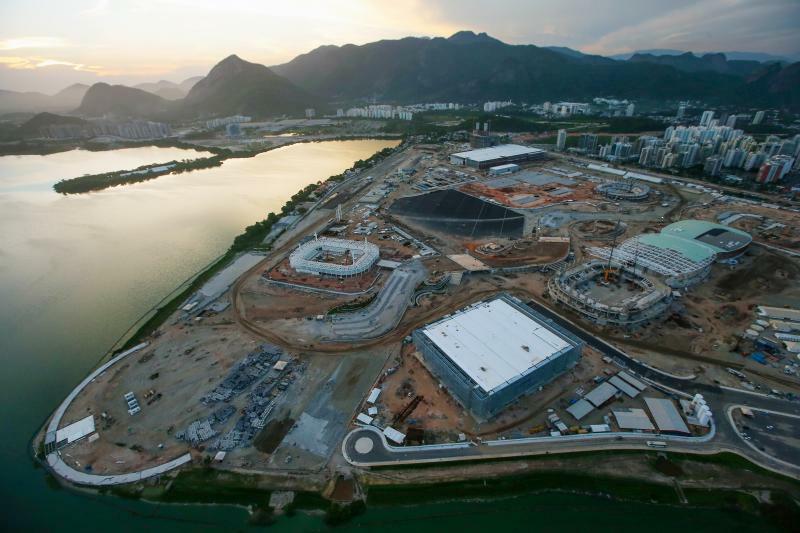 One of Rigas’ first projects will be the delivery of the IPC Academy Campus 2016, a unique set of education programmes delivered during Rio 2016 which aim to enhance and improve the capability and capacity of those involved in organising major sporting events. The Campus is tailored to the specific requirements of future event organisers, governments, providers to the industry and others both throughout the Paralympic Movement and more widely the events industry. First run during the Beijing 2008 Paralympic Games as an Observer Programme for 300 people, the IPC Academy Campus morphed into a comprehensive industry focused learning environment with over 600 delegates during the London 2012 Paralympic Games. In the British capital the Campus incorporated the Observer Programme, Games Experience Programme and Inclusion Summit. In 2016 around 1,200 delegates are expected to attend the IPC Academy Campus which will coincide with the Rio 2016 Paralympic Games. Xavier Gonzalez, the IPC’s Chief Executive Officer said: “This consolidation is a natural progression in order for IPC Knowledge Management to remain at the forefront of the industry and create skilful, empowered staff within each of our OCOGs. “In the first few years of Knowledge Management there was a strong focus on capturing information and ensuring that Games manuals incorporated the unique needs of the Paralympic Games which is an activity that is maintained to this day. Chris Solly, Director IPC Academy added: “Having been at the forefront of establishing knowledge management in the mega event sector back in 1999, it has been invigorating to be able to work with the IPC and create learning pathways for their organisers. Another key initiative the IPC Academy’s Knowledge Management division will be the implementation of the IPC Excellence Programme. Launched in 2010 with the Sochi 2014 Organising Committee, the programme is currently ongoing with both the Rio 2016 and PyeongChang 2018 Organising Committees (OCOGs) and aims to transfer strategy, knowledge and learning from previous Paralympic Games into an integrated learning journey for OCOGs. This includes thematic workshops, the Games-time Campus Programmes, readiness and simulation training, volunteer training and the official Games Debrief.